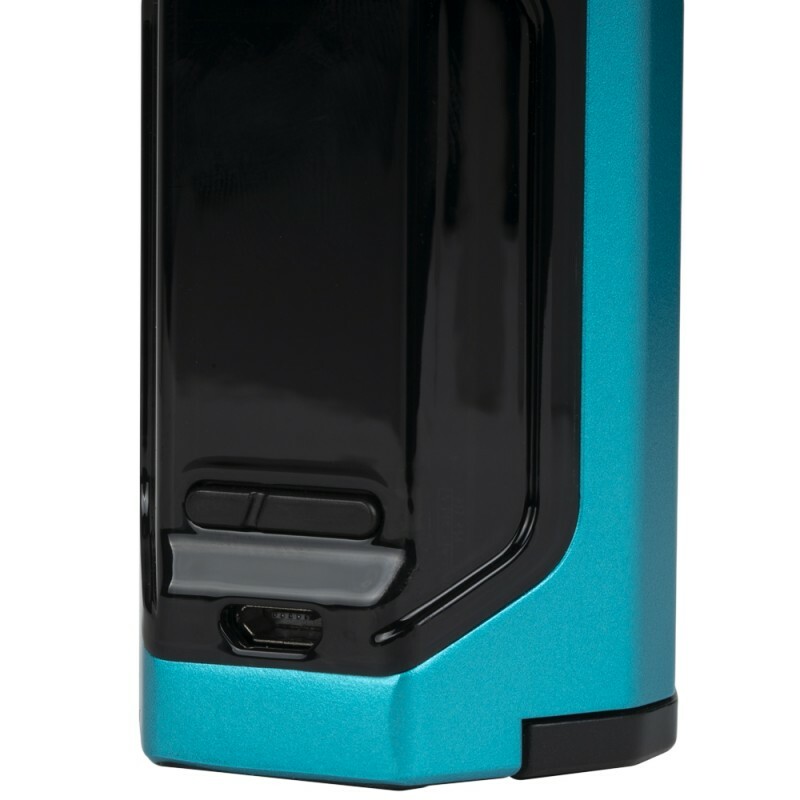 The newest member of the Luxotic Series, introducing the new LUXOTIC DF Box from Wismec. A powerful and delicate stunner, the LUXOTIC DF Box will definitely become your loyal vaping device. 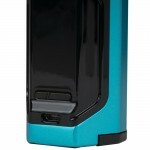 Featuring a re-imagined squonk system and internal refillable e-liquid bottle with a 7mL capacity, the dual 18650 box mod offers you 200W max output. The elaborately carved lines and cutting design delivers a potent masculine force. The Guillotine V2, a high-end bottom-fed rebuildable drip atomizer, impresses us with its unique airflow design and detachable structure. 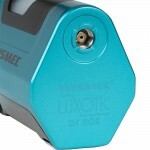 Rough yet forceful, the LUXOTIC DF Box with Guillotine V2 will be a good choice for all vapers. 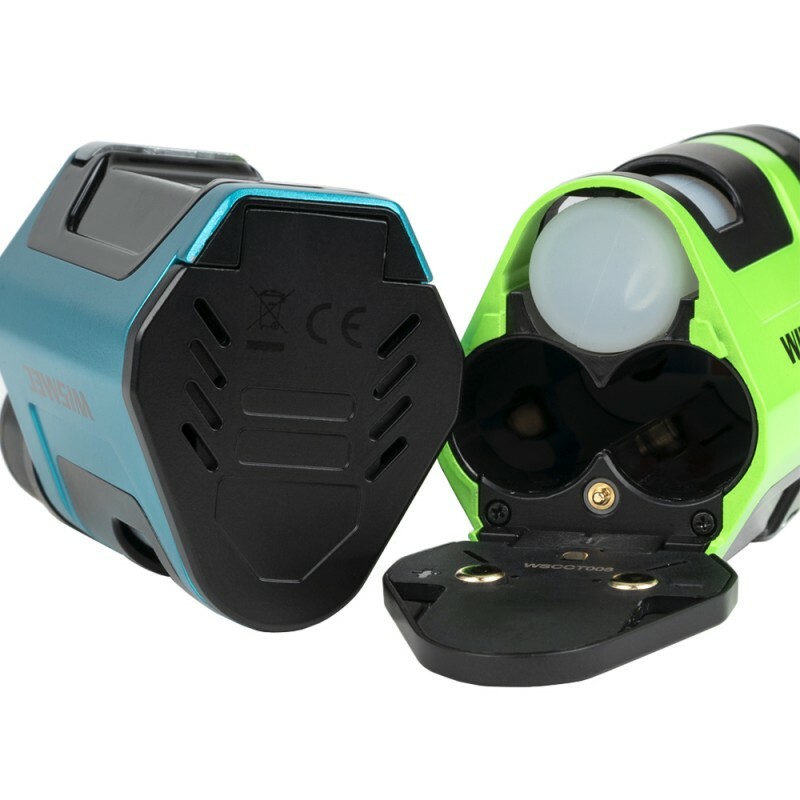 DUAL 18650 SQUONKER WITH INTUITIVE DISPLAY - Powered by dual 18650 cells, the LUXOTIC DF Box is capable of firing up to 200 watts, offering you a formidable vaping experience. 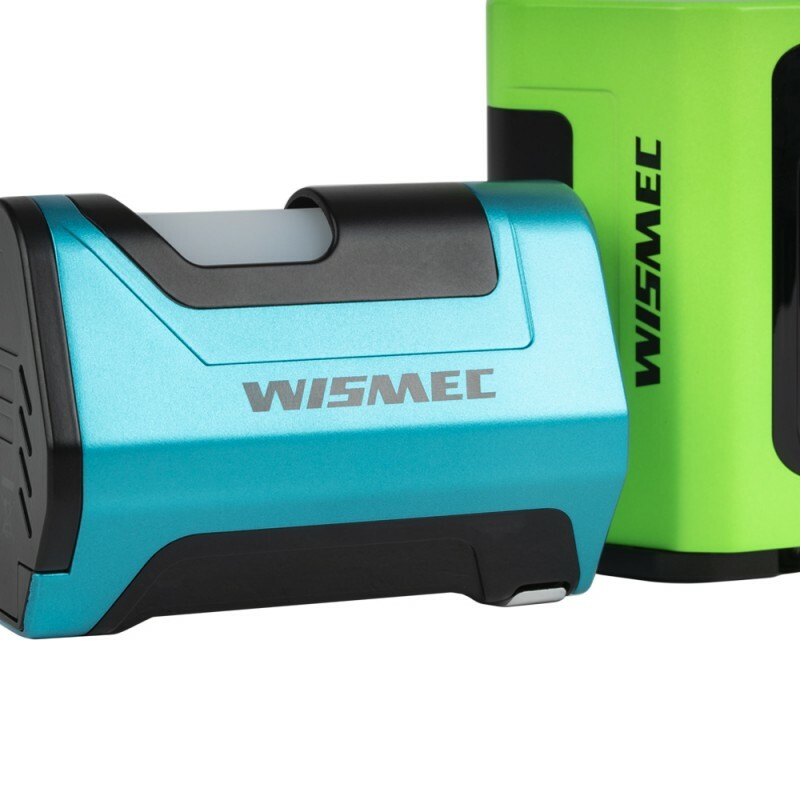 Equipped with a large 1.3 inch OLED screen, all essential parameters can be displayed clearly. SPECIALLY DESIGNED SQUNOK SYSTEM FOR CONVENIENT E-LIQUID RE-FILLING - Simply squeeze the soft silicone bottle and the LUXOTIC DF Box will feed e-liquid via the specially designed squonk system directly into the bottom-fed atomizer. 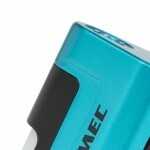 The built-in refillable e-liquid bottle can hold up to 7mL of e-liquid, extending the time between refills. MULTIPLE CIRCUIT PROTECTION SYSTEMS APPLIED - Multiple circuit protection systems are applied, realizing the overall protection of the device, which will make it much more secure and more reliable. Protections: Over-charge, over-discharge, over 10 seconds, short-circuit, over-current, reverse polarity, and temperature. REBUILDABLE CLAPTON COIL AND OPEN BUILD SPACE FOR DIY FUN - The pre-made Clapton 0.28 ohm coil is meant to offer you large vapor and intense flavor. Moreover, with an open build space on the Guillotine V2, you can easily install the coil and enjoy DIY fun to the fullest! MULTI-FUNCTIONAL ATOMIZER TUBE FOR CONVENIENT AIRFLOW CONTROL - The atomizer tube of the Guillotine V2 has multiple functions. By installing the atomizer tube upwards or downwards, you can very simply utilize two different ways of regulating airflow to get unprecedented vaping enjoyment. OFFERING TWO DRIP TIPS FOR YOUR PREFERENCE - Apart from the equipped short drip tip, the optional PEI mouthpiece offers you a brand new vaping experience. OPTIONAL POSITIVE CONTACT TO ENRICH VAPING LIFE - In addition to the hollow positive contact on the Guillotine V2, the solid contact can make your squonk RDA into a regular RDA, providing you with more possibilities and options. FASTER THAN EVER - The LUXOTIC DF Box adopts a new Avatar Chip to provide a faster firing speed than ever before. Just enjoy your vaping with no delay. 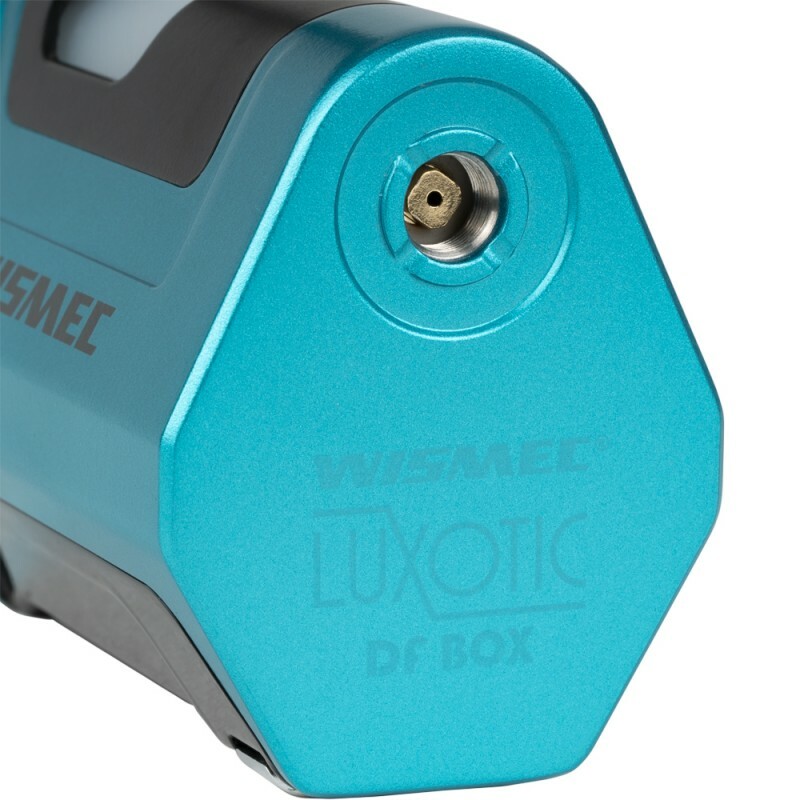 UPGRADEABLE FIRMWARE - LUXOTIC DF Box comes with the upgradeable firmware option. Having the latest firmware, logo, preheat function, and timeout duration are all available. CHARGING - As with most mods, it's better to take out the cells to charge them through an external charger, but you can also charge the device by connecting it with a computer or a wall adapter via USB Cable. All options are currently out of stock. Submit an notification to receive stock quantity updates.